With over 25+ years experience in the plumbing field, A&A Plumbing, LLC can do everything you need in your kitchen and bathroom. We can fix existing fixtures, add new ones or reconfigure and design an entirely new space for you! 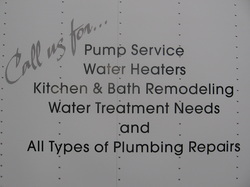 It's the A&A Plumbing, LLC difference that's definitely in the details! From remodeling, to installation and repair and even construction and expert tile work! We are your one stop shop for all of your remodeling needs. Ask us about how we can make your kitchen and bathroom your DREAM ROOMS, today! Call us for a friendly quote. Kitchens and Bathrooms done Right!